Memory improved 28% over the 18 months of the study. Curcumin — a key ingredient of Indian curries — boosts mood and memory, new research finds. 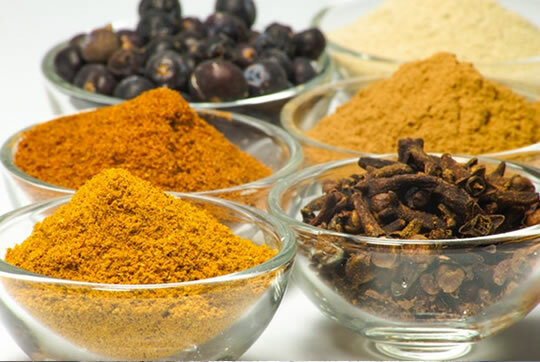 Curcumin is found in turmeric, which helps give curry its distinctive colour. Scientists have wondered if curcumin could explain why older people in India — where curcumin is a dietary staple — have lower levels of Alzheimer’s. Participants in the study were given a curcumin supplement and followed over 18 months. The people in the study were all between 50 and 90 years old and all had mild memory problems. They received either a placebo or 90mg of curcumin twice a day for 18 months. The results showed that people taking curcumin saw significant improvements in memory (28% better) and attention. They also felt small improvements in mood. There were no changes in the placebo group. Four people in the study suffered side effects of abdominal pain and nausea, although two were taking the placebo in any case. The study was published in The American Journal of Geriatric Psychiatry (Small et al., 2017).